Can Dolby Atmos save the beleaguered home cinema business? With sales of AV receivers tanking, makers of multichannel home theatre receivers are banking on the latest in surround sound technology to rekindle interest. Dolby Atmos has been called 3D for your ears. It’s a cute label to describe a tangible leap forward for movie audio. Unlike traditional surround sound, Atmos is object rather than channel based, using metadata to position audio within a hemispherical three-dimension soundstage, adding height to the usual encircling speaker array. It’s gaining traction in Hollywood, with over 120 movies rendered in Atmos so far. From a sound design point of view, Atmos offers unparalleled creative control, which no doubt explains its acceptance. Up to 128 objects in a frame can have their own positional metadata. When the soundtrack is played back in an Atmos-equipped movie theatre, adaptive rendering steers the sound to where the sound designer intended it to be heard. In larger theatres with scores of speakers, precision is hardwired. In smaller venues with fewer speakers, the renderer in the processor creates a phantom channel to most accurately recreate the spatial position. From a cinematic point of view, this translates to wonderfully detailed soundfields and precise panning of transitory effects. Immersive is an over-used word, but seems entirely appropriate. When the ragtag band of humans first foray into the apes’ forest in Dawn of the Planet of The Apes, the Atmos soundstage seems entirely convincing; when rain falls, all your senses tell you you’re in for a soaking. Recreating comparable holographic audio in the home comes with an obvious challenge. Most consumers want fewer speakers in their lounge, not more. The solution is a new breed of Dolby Atmos certified speakers which point upwards, reflecting all that extra audio info off your ceiling. Speaker brands KEF, Onkyo and Definitive Technology are all developing compact reflective solutions, most of which are designed to sit atop conventional forward-facing loudspeakers. Of course, while the creative process may be object-based, Dolby Atmos for the home still boils down to channels. Incoming Atmos receivers will typically be described as 5.1.2 (five main channels, one LFE and two heights) or 7.1.4 (seven main channels, one LFE and four heights). At an exclusive preview of the technology, Dolby product evangelist Jonathan “JJ” Jowitt explained more about the evolution of Atmos, as well as offering the first live content demos. Key to Atmos’ journey from theatre to front room is the development of a new Spatial Coding technique, which takes into account the location of sound objects in the original theatrical mix and more efficiently encodes them. This in turn has led to a new iteration of Dolby TrueHD for Blu-ray and Dolby Digital Plus, for OTT broadcast and VoD services. JJ insists that nothing is lost en route. “Spatial Coding enables you to get in the living room, exactly what the film-maker intended,” we’re promised. The spatial coding process takes place after the creation of the cinema DCP (digital cinema package) and before disc mastering or broadcast distribution. The spatially coded bitstream is then delivered to a Dolby Atmos renderer in a compatible AV receiver or processor. Unlike old school Dolby Digital decoders, which simply route sound channels, an Atmos renderer is intelligent enough to read the metadata and position the audio in the living room the same way, it just needs to know how many speakers you have in your array and it works out the rest. AV receiver makers have been quick to back the technology. Onkyo, Yamaha, Denon, Marantz and Pioneer have all committed AVR fleets, due to go on sale over the coming months. As yet though, no Blu-ray releases with the Atmos bitstream have been confirmed, although it’s a fair bet that several theatrical Atmos blockbusters lined up for a post-October disc outing will have the requisite audio option. So what does it sound like? The good news is that the domestic version of Atmos proves to be astonishingly similar to its theatrical sibling. Even more remarkable, the performance of those Dolby Atmos Enabled Speakers is uncannily similar to that of physical in-ceiling speakers. For our demo, Dolby team played its library of pre-movie Atmos stings, as well as the opening sequence from Star Trek: Into Darkness. All exhibited a level of wraparound immersion and precise image placement that traditional 5.1 just doesn’t quite achieve. The difference is akin to wearing an ill-fitting baseball cap or a bespoke fedora. For home cinema enthusiasts, the prospect of Atmos in the home should be deliriously exciting. However, the irony is that the system has yet to find widespread adoption in cinemas. Indeed there are only nine currently in the UK. Jowitt says this shortfall isn’t particularly surprising. And this is just the start. 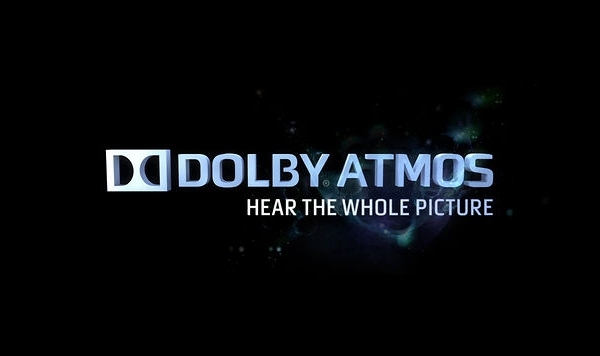 Dolby is also working on a headphone implementation of Atmos for mobile devices. And while Atmos enabled games are not on the agenda, Dolby says it’s fielding interest from a wide variety of content creators, with concerts seemingly prime fodder. It would seem the reports of the death of home cinema have been greatly exaggerated – and I, for one, couldn’t be happier. Steve May is a veteran AV journalist and senior editor at Inside CI.